Michael Merein was lying down in a smoke-filled room in Dooly Memorial when a group of Canes Emergency Response Team (CERT) members walked in to the rescue. He had suffered serious burns and was unconscious, having to be back-boarded to a safe medical operations area. This was only one of the many scenarios CERT members had to deal with during this semester’s Disaster Readiness Exercise (DRE), held Sunday afternoon. CERT is an organization modeled after Community Emergency Response Teams, a program developed by the Federal Emergency Management Agency that is used all over the country. It trains local community members to actively respond in disaster situations until they can get proper emergency responders on the scene. 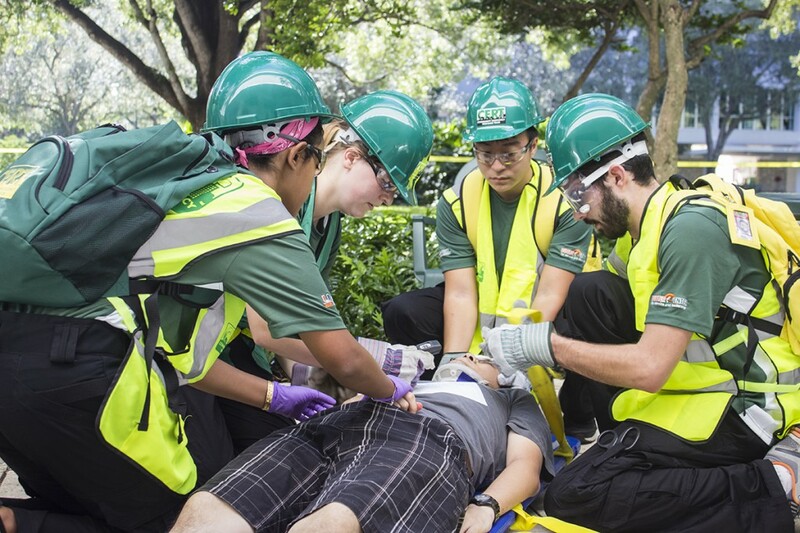 In order to become CERT members, students must go through training sessions at the beginning of each semester, as well as attend bi-weekly workshop meetings and successfully go through the club’s DRE, a drill exercise where a mock disaster is put together in a certain area of campus, and volunteers play the part of victims. Before the DRE, volunteers like Merein received particular victim scenarios and then received the appropriate makeup before heading to their particular disaster location. Once everyone was in place, CERT members began the exercise and had to scout the scene, deal with obstacles like fire smoke, and safely transport patients to the medical operations section, where the victims’ vital signals would be assessed and the appropriate care would be provided. The team’s overall feedback was positive, and all victims were safely transported to the medical operations section.